Texas Property Solutions is seeking independent contractors capable of performing preservation and rehab work across Texas. We have a large inventory of work and are seeking additions to our growing network. And all other components of rehab and property preservation. 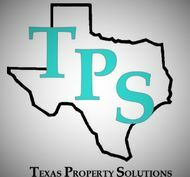 If you are interested, please visit our website at www.txpropertysolutions.com and select the "Become a Vendor" tab.